Jim Balent Wizard the Comics Magazine #47 Cover Original Art (Wizard, 1995). Catwoman snatches Supergirl's cape and Wonder Woman joins the fray in this terrific Wizard cover by Jim "the talent" Balent. 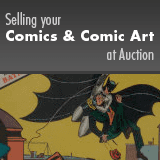 The image area measures 10.5" x 14.5" and the art is in Very Good condition. From the Shamus Modern Masterworks Collection.